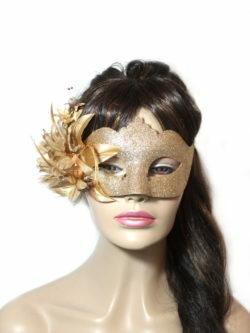 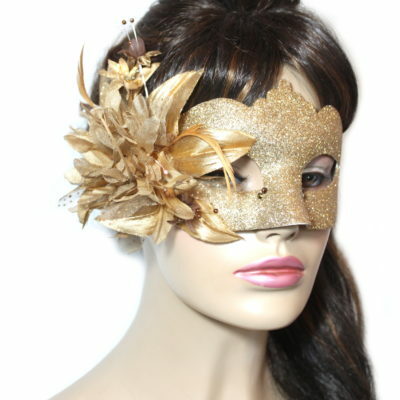 This women’s gold glitter mask features Swarovski crystals to the eyes (bronze tones) and a gorgeous gold toned flower at the side with smaller gold and bronze flowers entwined. 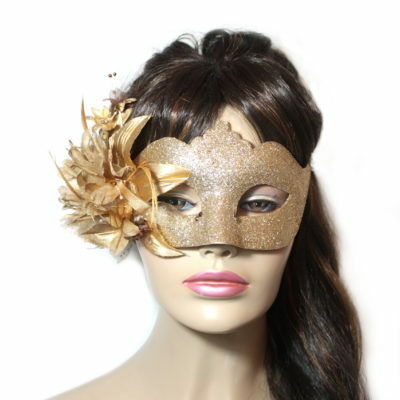 Suitable for all face shapes/sizes. 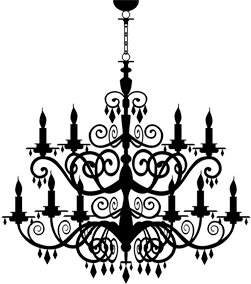 Ties with satin ribbons.